Juliet Breeze, MD, graduated from Northwestern University with a Bachelor of Arts degree and honors in English. She then earned her medical degree from Baylor College of Medicine. She completed residency training in Family Practice at Memorial Hermann Southwest where she received the Norma Culver Outstanding Family Practice Resident award. After working in private practice for four and half years, she left clinical practice and served as the CEO of Richmond Bone and Joint Clinic which became a multidisciplinary group with over 200 staff members in three locations with ancillary profit centers including surgical facilities, pharmacy, imaging and physical therapy over the following ten years. Concurrently, she developed several medical organizations including a rehabilitation hospital and several surgical centers. In 2011, she and a partner launched Vantage Hospice, a healthcare team that provides end of life care to patients throughout Greater Houston. 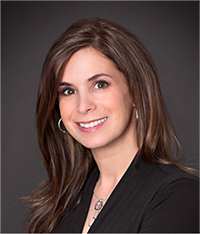 In 2013, she founded Next Level Urgent Care serving as CEO and Medical Director. Next Level Urgent Care provides after-hours and weekend non-emergent care as well as employer programs to decrease cost of employee healthcare. Next Level has twelve locations in the Houston region and two onsite health and wellness centers for Fort Bend and Montgomery Counties. Next Level Urgent Care became a Certified Women-Owned Business in 2018. 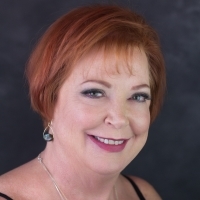 During her career, Dr. Breeze has served on the Board of Directors or Advisory Boards of several organizations including Founder’s Bank, Vista Bank, the Fort Bend Chamber of Commerce, Fort Bend Women’s Center, Forum Analytics, Physician Practice Magazine, HealthPost, and Junior Achievement. In 2014, she was named as one of the Top 25 Business Women in Houston by the Texas Diversity Council. In 2016, she was named Entrepreneur of the Year by the Greater Houston Women’s Chamber and in 2017, she was named as an Ernst Young Entrepreneur of the Year regional finalist and a finalist in the Houston Business Journal C-suite Awards. Aside from a busy work schedule, Dr. Breeze enjoys traveling, language study, and cooking in her free time. She also enjoys time with her husband, children, and host of pets. 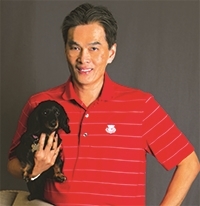 Dr. Hilton Yee has been performing plastic surgery since 1980. After completing his plastic surgery residency at University of Texas Medical Branch (UTMB) in Galveston, TX, he was appointed to the faculty of UTMB and, also served as a consulting staff member of the Shriner’s Burn Institute in Galveston. After teaching residents and conducting research in plastic surgery related fields, he moved to The Woodlands, TX in 1986, where he joined a multi-specialty clinic. Dr. Yee, a Board-Certified Plastic Surgeon, has performed thousands of cosmetic, hand, and reconstructive procedures. He has the reputation as an outstanding plastic surgeon and continues to advance his state-of-the art techniques by attending medical seminars and training sessions. By blending experience, skill, and knowledge of the latest techniques, Dr. Yee provides patients with meticulous care and outstanding results. He would like to extend his compassionate expertise and care to you. A four-sport athlete and student body president at Rapid City Central High School, Kevin worked his way through college at the University of South Dakota and today is a distinguished alumni. 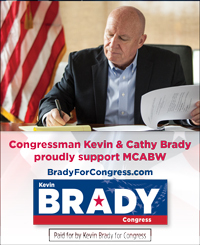 A chamber of commerce executive for 18 years in Rapid City, S.D., Beaumont, Texas and The Woodlands-South Montgomery County area, Kevin also served three terms in the Texas House of Representatives where he earned distinction as one of the Top Ten Legislators for family and children’s issues. In 1994 he was named one of Five Outstanding Young Texans. He is an original Hometown Hero of The Woodlands. Kevin is Chairman of the House Ways & Means Committee, considered by many to be the most powerful committee in Congress because it handles all tax matters, Social Security, Medicare, trade, energy, health care and welfare. He is the chairman of the Health Subcommittee, focusing on ways to increase the quality of health care for all Americans, while keeping costs affordable. He is past chairman of the Trade Sub-Committee where he is considered one of America’s leading champions of trade – and has helped successfully pass sales agreements to level the playing field and find new customers for American companies competing overseas. He is also the second highest Republican on the Social Security Sub-Committee. Kevin is fighting to reform the tax code, prevent tax increases and preserve Social Security and Medicare for every generation, once and for all. With the economy as the #1 issue on the minds of many Americans, Kevin is the top Republican in Congress on the Joint Economic Committee where he has championed free market solutions, opposed the stimulus, written legislation to reform the Federal Reserve Bank and published the original chart of President Obama’s new health care law. He is a Deputy Whip in the House leadership and a leader in the House Conservatives majority. A member of Saints Simon & Jude Catholic Church, Kevin is a Paul Harris Fellow in Rotary Club. He is married to Cathy Patronella Brady, and they have two sons, Will and Sean." MidSouth Bank is a community bank with southern roots. The difference is in our customer service. We’ve made it our mission to exceed the expectations of every customer, every day, by providing high-quality products and services. We work hard to fully understand our customers’ current and future banking needs, and constantly explore new products and services to make banking better and easier. Jennifer Lavender joined MidSouth Bank as Branch Manager in 2015. 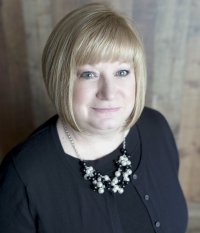 She has over 16 years in banking and has been a part of the greater Conroe area since 1984. “I joined MidSouth Bank because they love their employees and the communities they serve. I love that I can provide the same products and services as the big banks while still offering personalized service”. See the difference yourself. You have a business to run, let us handle the boring stuff. Dawn Candy is the founder and owner of I Promote You, a strategic marketing and promotional products company, operating since 2008. I Promote You offers a wide range of products and services, including promotional items, corporate apparel and gifts, printing, awards and incentive programs, event giveaways, marketing consulting, event logistics, and more. Her passion for helping people has been the driving force and the primary focus for working hand in hand with customers of I Promote You. Creative and outside the box thinking has established I Promote You as a true "partner" rather than solely a "service provider." 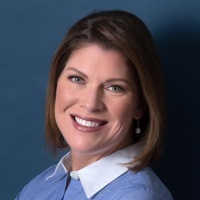 Dawn is a long-standing member of the Advertising Specialty Institute, Promotional Products Association International, The Woodlands Area Chamber of Commerce, and Leadership Montgomery County Alumni. Establishing a career in marketing and owning her own business has been a dream come true and enabled Dawn to pursue her passion for the community by giving back to non-profit organizations close to her heart. She has also been able to use her expertise to help those organizations establish their brand and have a strong presence in the area. She is proud to have chaired the Capital Campaign that raised funds for the Montgomery County Food Bank to expand operations into their current 72,000 square foot building and to have founded the Greater Montgomery County Restaurant Association in 2008. After moving to Oak Ridge North in December 2016, Dawn began serving her new community on the Economic Development Corporation board as Vice-President and was recently appointed to the city council, Place 4. She also currently holds board positions with the following organizations: Family Promise, Montgomery County Women’s Council of Organizations, Montgomery County Association of Business Women (MCABW), and WISE (Women Inspiring and Supporting Entrepreneurs), where she is also the event coordinator. She serves in the café at The Ark Church and volunteers for the Iron Man, which benefits Interfaith of The Woodlands. 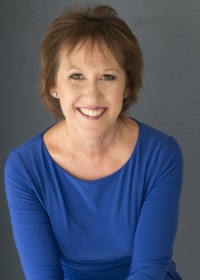 Dawn has been recognized by the Association of Fundraising Professionals, receiving an award for Outstanding Community Volunteer in 2013, The Woodlands Area Chamber of Commerce Volunteer of the year in 2014 and recognized as a Woman of Distinction by MCABW in 2019 and by the Business Women’s Forum in 2012 and 2013. She and her husband of seven years, Randy Lovelace, have three adult children between them with seven beautiful grandchildren. 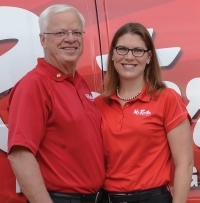 Mr. Rooter Plumbing is family owned and operated by Natalie and Roger Goertz, and proud to be your local hometown plumber since 1991 serving Montgomery, Harris and Fort Bend Counties. Tiered pricing options of Good, Better or Best are always offered up front and in writing, and there is never a charge for overtime, nights, weekends or holidays. A comprehensive suite of residential and commercial plumbing services are offered by which there is no trip, diagnostic or estimate charge. Mr. Rooter Plumbing specializes in drain and sewer services, but also repair and/or replace water and gas lines and anything else plumbing related – from fixing leaky faucets and showers, installing new garbage disposals, tank or tankless water heaters and a whole lot more. Our team of Master Plumbers, Tradesmen, Journeymen, Drain Specialists and Apprentices are licensed by Texas State Board of Plumbing Examiners (TSBPE) and are committed to providing customers with exceptional service, cost-effective solutions and best warranties in the industry. Third party financing is also available with approved credit. Mr. Rooter Plumbing proudly offers both military and senior discounts. Corporate social responsibility is important to Mr. Rooter Plumbing where they have a long history of supporting our local community with volunteer hours and monetary donations through various organizations. Mr. Rooter Plumbing stands among the strongest plumbing companies in our community. Their success is illustrated by being a top 3 finalist for three years in the Lone Star College Small Business of the Year Award, earning 1st place in Woodlands Online’s “Best Of” award three years in a row and earning 1st place in Living Magazine’s “Reader’s Choice Award” three years in a row. Established in 1913, Guaranty Bank & Trust is one of the oldest and most respected banks in Texas with a history of serving generations of customers through wars, an economic depression, financial crisis and other dynamic world events. We achieved this success by providing the communities we serve with a unique banking experience because our team believes smart banking is about investing in people and not just credit scores. Our goal is to succeed with the community, rather than at its expense, and have a plan for your growth, not just our own. Our dynamic team works hard to attract, retain and develop the finest bankers, which means you will get quality advice from a local expert you can trust. We encourage our employees to give back to the communities we serve because volunteering has a positive impact not only on the community, but also on our employees. Finally, we focus on strength and stability so our customers know they can depend on us during difficult times. Guaranty Bank & Trust has been named “Best Companies to Work for in Texas” 2009 – 2019 and named “One of the Best Banks To Work For” by American Banker in 2016. At Guaranty Bank & Trust, we are “growing because we help you grow". Natalie Saikowski Goertz joined Guaranty Bank & Trust in March 2019 as Senior Vice President and serves in a dual capacity as Treasury Management Officer and Community Development Officer. Her background in corporate and public fund banking make her a natural fit for this role. Saikowski Goertz has a passion for serving the community that she lives, works and plays in, which is evident by various leadership roles she serves in, which include, but are not limited to, President of Executive Women’s Alliance, Diplomat Chair of Montgomery County Association of Business Women, Chair of the Conroe ISD Mentoring Committee for Rotary Club of The Woodlands and Board Member for Lone Star Boxer Rescue. Natalie is a graduate of Leadership Montgomery County Class of 2012 and the Montgomery County Sheriff’s Office Citizen’s Police Academy Class of December 2017. “I’m so excited to be part of a team of community bankers who have a passion for serving others just like I do. 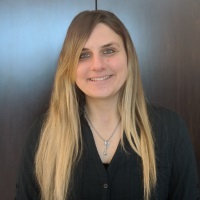 I look forward to educating our business customers about Treasury Services and the benefits they can reap, such as fraud prevention services, dual control, banking access for non-account signers and so much more.”, said Saikowski Goertz. Known for her exceptional customer service, Amanda Anders joined Guaranty Bank & Trust as a Credit Analyst in 2015 and has grown within the organization while earning a promotion to Banking Officer in January 2018. Amanda believes in giving back to the community she serves, which is evidenced by her involvement in Conroe Noon Lions Club, Montgomery County Association of Business Women and coaching Conroe YMCA soccer. Lending needs for individuals and businesses are currently Amanda’s focus. “I love working for a community bank because I am able to provide personalized banking services. I also enjoy spending quality time with customers to help them achieve their goals whether it be to assist in purchasing a home or growing their business.”, said Anders. Jessica Munselle is the Director of Community Development for 5Point Credit Union. Since joining 5Point in April of 2015, Jessica has led business and community development in the North Houston market, while launching the credit union’s two newest locations. She is also responsible for overseeing a comprehensive financial literacy program in the area. 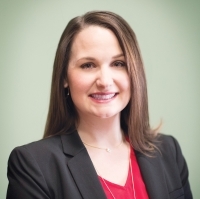 Jessica is an active part of the community, currently serving on the Executive Board of Directors for the Greater Magnolia Parkway Chamber of Commerce and on the Community Relations Team of The Woodlands Area Chamber of Commerce. 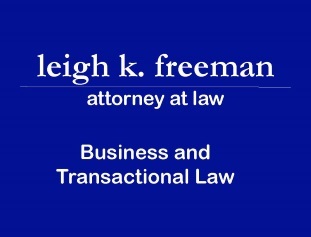 She is also a proud member of the Montgomery County Association of Business Women. Through her work with 5Point, she is able to support many local organizations and events including Relay for Life of The Woodlands, Montgomery County Heart Walk, The Montgomery County Fair, The Woodlands CrawPHish Festival, Family Promise of Montgomery County, and The Woodlands Marathon. Jessica is a graduate of Mays Business School at Texas A & M University, with a Bachelor of Business Administration in Marketing and currently resides in Montgomery with her husband, James, and their son, Wyatt. Bayway Auto Group is excited to be the only Cadillac dealership in The Woodlands. Bayway Cadillac of The Woodlands, your Woodlands premier Cadillac dealer is part of the Bayway Auto Group a family owned organization that prides itself in providing excellent customer service. We invite you to come be a part of The Bayway Family and experience a “New Way” to Cadillac. The Bayway Auto group have been providing service to Houstonians for over 20 years. Whether you are in the market to purchase or lease your next vehicle, we invite you to come see and test drive our full line up of the Cadillac Brand. We offer a large selection of Certified Pre-Owned vehicles and have Certified professionals to service your vehicle needs. Our goal is to make you feel right at home, as comfortable as possible, to have an excellent purchase and a positive ownership experience! We will help you find exactly what you are looking for should we not have it in our Bayway Cadillac or Certified Pre-Owned inventory. Please visit our website at www.baywaycadillac.com as our Internet Service department is always available for you. Bayway Cadillac offers a professional sales and service team. We provide complimentary pick-up and delivery for both Sales and Service, free Wi-Fi, coffee, bottled water & beverages as well as snacks, fruits, & muffins. Belinda Streng and her husband, Walter “Bear” Streng, moved to the area in 1998. Belinda had previously worked in process safety standards at Exxon/Mobil chemical company, but when relocating, wanted more freedom to spend with her then eight-year old son, Zachary. She became a Jill-of-all-trades and spent the better part of ten years, working for an online home décor store, grocery store, bar, and took on other short-term jobs, such as firework sales. In 2008, she worked at Sunkissed Tanning Salon and enjoyed the work. When she left in 2014, the owner called her about purchasing the tanning salon. Belinda agreed and became the sole owner and operator in November 2016. Sunkissed Tanning Salon has 12 sunbeds and specializes in a variety forms of tanning. They offer both low-pressure and high-pressure tanning beds, to closest match outdoor tanning, but with lower UV rays to better-avoid burning. Sunkissed Tanning Salon also offers automatic spray tanning and custom airbrush tanning, performed by Belinda. Belinda is also excited to offer Hydration Therapy, a sauna-like treatment to hydrate and prepare the skin for tanning product absorption. Hydration Therapy also stimulates the lymphatic system to help with pain relief and detoxification, and when used regularly with products, helps reduce cellulite. Though she fell into the business by chance, Belinda loves working for herself and being able to give back to her community, including the area high schools, where she supports fundraisers and other non-profits. She is an ambassador and member of the Montgomery Area Chamber of Commerce and Montgomery County Association of Business Women. She also loves spending time with her 15-year-old granddaughter, Becca.